Fabulous Floral Waters! Tone & Cleanse Using the Power of Nature - Part 2. - Amphora Aromatics Ltd – Supplier of pure essential oils and aromatherapy Products. Fabulous Floral Waters! Tone & Cleanse Using the Power of Nature - Part 2. Hi all. Sophie here again with another Fabulous Floral Water Blog. This time it's all about the beautiful Floral Waters of Jasmin and Rose. As I explained in a little more detail in my previous blog, floral waters are usually categorised as either Hydrosols or Hydrolates. Our definition is that a Hydrosol is an essential oil dissolved in water and a Hydrolate is the water recovered from the distillation of essential oils. Floral waters contain many of the benefits of the essential oil but are a lot gentler and can be used directly onto the skin. So, they make perfect facial toners or spritzes that are wonderfully nourishing and hydrating for the skin. 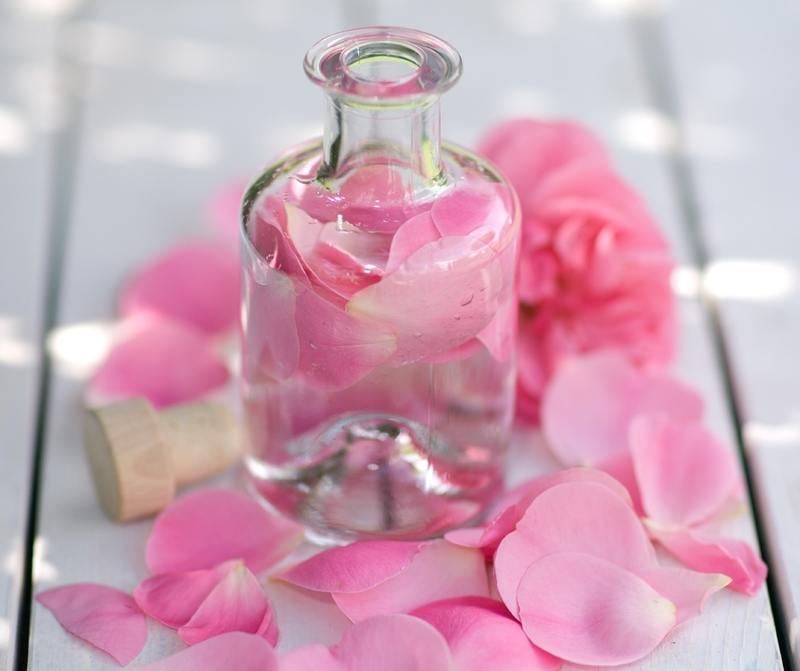 One of the best known (and our most popular) floral waters is beautiful Organic Rose Floral Water. This beautifully sweet scented water can help to hydrate, sooth and balance skin and is especially good for dry and sensitive skin. Another well-known floral water is Jasmin. Warm and exotic, this beautiful water can help sooth inflamed or irritated skin and is a well-known aphrodisiac. Essential Oils can be added to floral waters to enhance the benefits. For mature skin Frankincense is a lovely choice as it is a great essential oil for rejuvenating the skin and blends beautifully with Rose. For more congested skin try adding Juniperberry Essential Oil to Jasmin Water. This helps to cleanse and detox the skin. Remember that less is more – there’s no point in pouring loads of essential oils into these floral waters as you’ll overwhelm your skin and cause more problems for yourself. 10-15 drops of essential oil per 200mls of floral water should be plenty. Always give the floral water a gentle shake before each use. To use, either spritz over the face ensuring eyes are closed or pour a little onto a cotton wool pad and gently wipe over face and neck. Apply after cleansing and before you apply your serum and moisturiser. You can also spritz for a quick cool down and to quickly hydrate the skin during hot summer days. Floral Waters not only make gorgeous natural toners but can also be used for a variety of things. Try adding a little to the water when removing your cleanser or pouring into your bath for a luxury, skin pampering treat. Thank you for reading! My next blog will be all about the wonders of our beautiful Orange Blossom and Geranium Waters. You can also click here to check out my other blogs for more natural skincare tips and recipes.